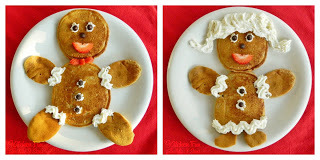 We came up with these cute Gingerbread Boy & Girl Pancakes and they taste wonderful! 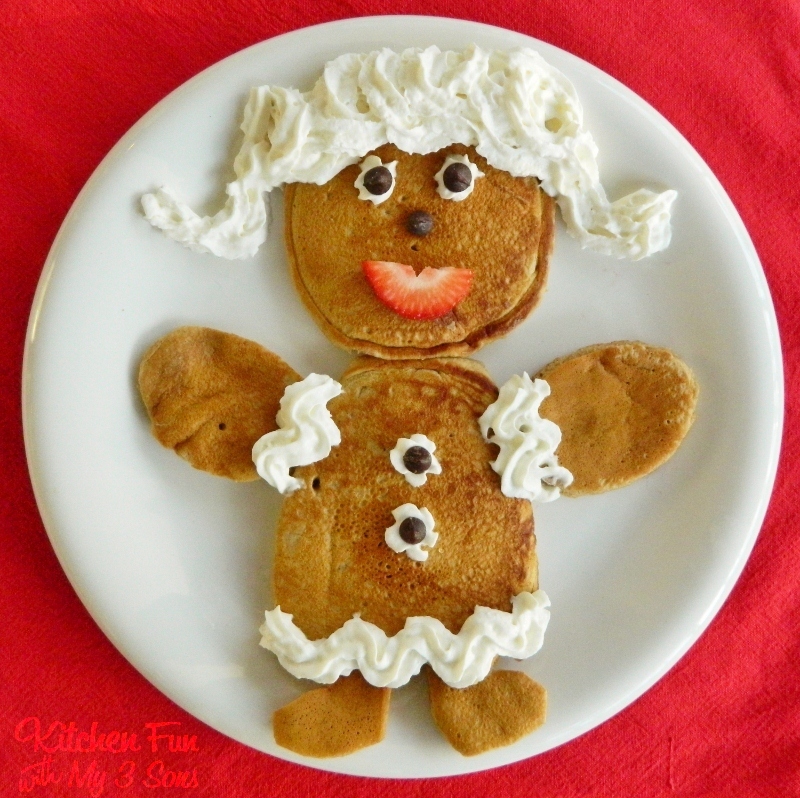 We used pancake mix so these are very easy to make! Make the pancake mix according to the box directions. Then add in the spices & Molasses. Pour into a pan on low heat making 2 big circles for the body and head and 4 smaller oval shapes for the legs and arms. 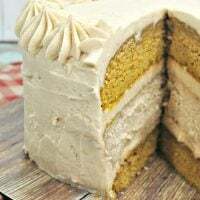 They do not have to be perfect…you can cut around the edges using kitchen scissors if you mess up. 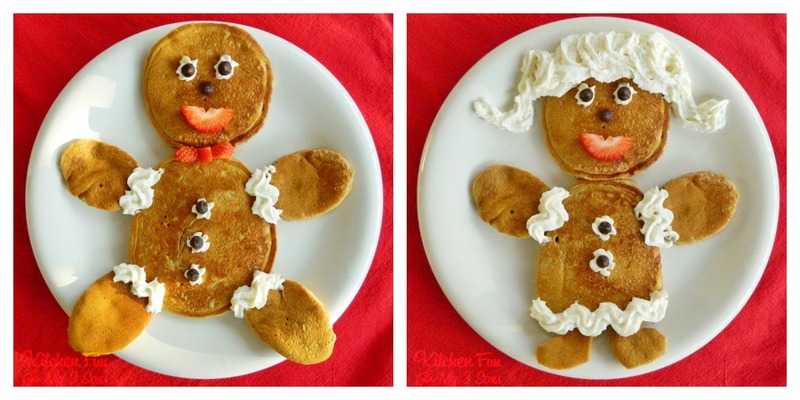 Place the pancake circles on a plate making the boy and/or girl. Cut a strawberry to make the mouth & bow tie. Spray on whipped cream spray to decorate and use chocolate chips for the face and buttons. Here is our Gingerbread Boy Pancakes…. 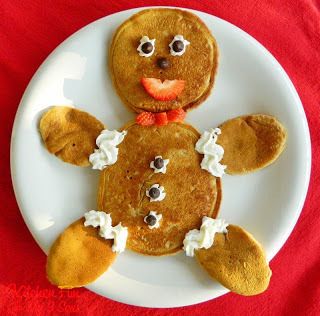 This is also a fun breakfast to let the kids help with and they can design their own Gingerbread Boy or Girl! 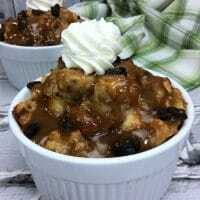 « Previous PostKitchen Fun and Crafty Friday link party #42 & Winner of our Country Crock Giveaway! Oh My Gosh! What a sweet way to start the day – soo cute! Those are so cute! I've got to try them. 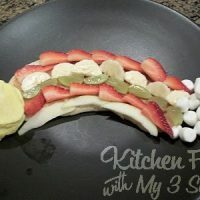 Such a cute and delicious breakfast idea! Thanks…they ended up being so good! Oh those are so cute. I'd love to make some for my nephew – he would just absolutely love them.